“Given the unusual breadth and depth of likely foreign involvement in America’s 2016 presidential election, we request a thorough criminal investigation of the matters described herein. 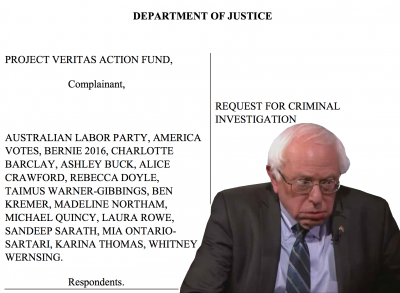 This fine was a result of an initial complaint filed by O’Brien, citing Project Veritas Action Fund’s hidden-camera videos from 2016 which exposed Australian nationals who were sent by the Australian Labor Party and financed by the Australian Labor Party to assist the the Sanders Presidential campaign. The Project Veritas Action Fund 2016 videos that exposed the foreign collusion with the Sanders campaign initially got very little coverage from the mainstream media in the US, but were widely covered by the Australian Media. “Since CNN’s Van Jones thinks the Russian collusion story is a ‘nothing burger,’ here’s a JUICY story about a probable violation of the Foreign Agents Registration Act, a potential conspiracy and foreign collusion in support of a Presidential candidate that Van Jones can really sink his teeth into,” said Project Veritas Action Fund’s founder and President James O’Keefe. Posted in Corruption. Tagged 2016 Pres. campaign, Bernie Sanders, collusion. 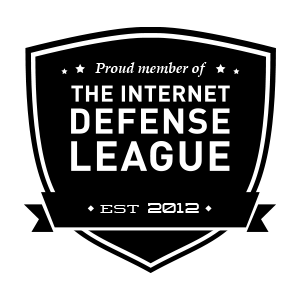 Next: Next post: Attorneys of the Month for January thru March 5th, 2018.